Before we begin discussing Gooseneck & 5th wheel hitches lets clear the air and provide a brief description as to what receiver hitches are. Trailer hitches, also known as receiver hitches, are typically defined by a given "class" rating to define and help determine their weight capacity as well as the receiver opening size. This receiver accepts cargo carriers, hitch bike racks, removable ball mounts, or other hitch mounted accessories. As you can see receiver hitches aren’t only for towing but can accommodate various other applications as well! When it comes to towing loads reaching an excess of 17,000 lbs we have come to a juncture in which you must convert or upgrade to 5th wheel and gooseneck hitches to compensate. Below we discuss these heavy duty towing hitches. As for the trailer hitches, more information has been provided in another article which can be accessed by clicking on the link within this sentence. There we take an in depth look at each class as well as other factors that may help in determining proper selection for your personal needs. Both a gooseneck hitch and 5th wheel hitch mount in the bed of a truck but the difference here is the Fifth Wheel Hitch mounts above the bed whereas the gooseneck hitch mounts level with the truck's bed and utilizes a mounted ball for towing. Fifth Wheel Hitches mount above or just forward of the towing vehicle's rear axle. A king pin on the end of the trailer fits into a specially designed notch, a king pin funnel, on the Fifth Wheel Hitch. The gooseneck hitch is available in a fold-down model which allows it to quickly change position freeing the truck’s bed of the obstructing mounted ball. Some gooseneck hitches are capable of utilizing the same rail set as Fifth Wheel Hitches. Not only would this mean you have access to both types with a simple switch but it also allows a switch in function to accommodate specific towing requirements. Typically, Fifth wheel trailers are used for recreation while gooseneck trailers are used for laboring applications. A number of advantages are offered by a 5th wheel hitch over the other types of hitches. Some of these include towing capacity, maneuverability, safety, and stability. 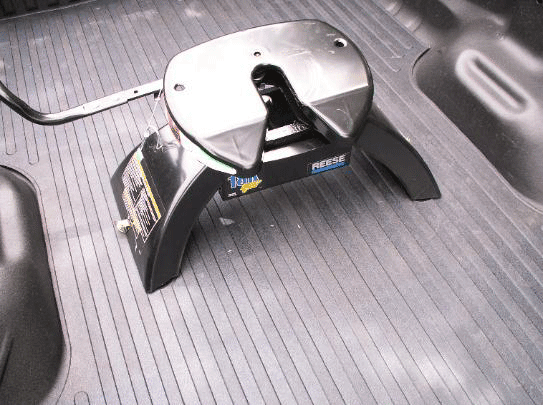 Occassionally a challenge can be presented with a Fifth Wheel Hitch resting in the pickup truck's bed because the bed becomes virtually useless for any sort of storing or hauling. 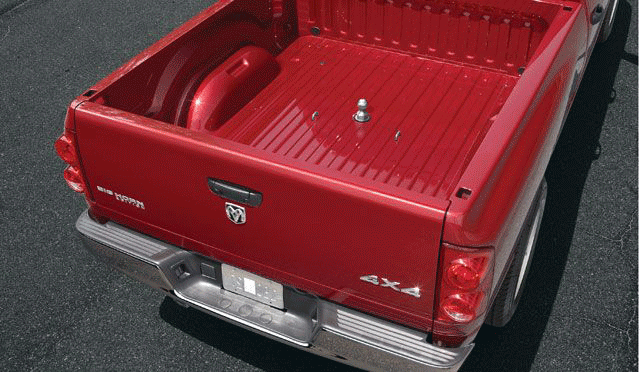 Also, the tailgate of the pickup usually has to be removed in order to use the Fifth Wheel Hitch properly. Specially designs accessories for these types of trailers are available to address these issues. Another complication that can occur with the combination of a Fifth Wheel Hitch and pickup is cornering. Sometimes, with standard hookup, interference occurs when taking a turn; the trailer doesn’t have enough clearance to avoid contacting the cab or bed of the truck resulting in damage. This is what ensues taking a long combination and attempting to swing it around a sharp corner. To gain the additional clearance needed to eliminate interference a pin box extension with a slider unit can be applied. Now that we have discussed these types let us compose simple lists to provide further assistant in easily distinguishing and determining which is right for you. Easy to Maneuver: being mounted inside the bed allows for better cornering. Capacity: 5th wheels can easily handle heavy loads. Certainly by now you have an even better understanding of the 5th wheel, so, let’s have a look at the Gooseneck Hitches. Note that goosenecks aren’t for every application; below is a list to take into consideration when choosing a hitch. Specific Trailers: If your trailer has a protruding front a gooseneck is for you! Not for beginners: Installation can be complicated. It requires the truck bed removal to install the frame which holds the ball in place. Drilling is also required, which many don't want to do to their vehicle. Note that this extra effort results in a much stronger hitch than a standard ball hitch. It's much easier and safer to use a 5th wheel hitch, simply put. Mounting: Sharper turns can be achieved because of the ball being mounted in the center of the truck bed.. Copyright © 2010 Trailer Hitches. All rights reserved.